Many times, it is the social media that helps to learn more about universities. Universities use social media sites such as YouTube as a tool for branding, recruiting and engaging students. Why should universities choose YouTube for Branding? This is because the student demographic immersed in the social web. Access to internet and usage of smartphones more and more essential populations are embracing social media. YouTube is one of the most significant platform in the world. Using YouTube helps in reaching the target demographic easily. With so many benefits, universities have no other choice but to make YouTube a part of their promotion strategy. Large numbers of universities are using YouTube. From attracting the new students for admissions to informing existing students about what is happening on the campus, universities have recognised the impact of YouTube. Large numbers of young people are using social media such as YouTube. YouTube is the place where student tries to find information. 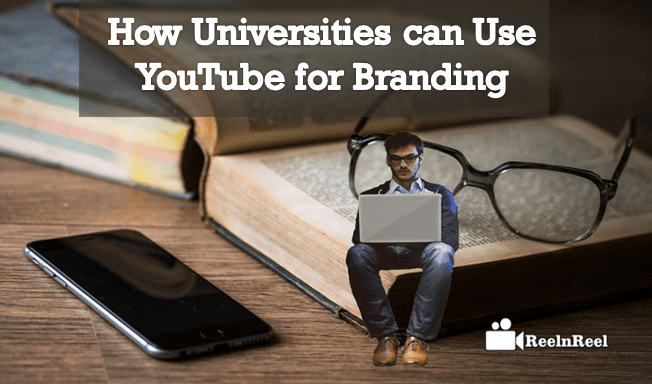 There are many reasons why universities should choose YouTube for Branding, and these include brand awareness, recruitment, and community creation. Using YouTube proves to be beneficial for some universities, and some may not get great success. Some best practices want to build efficient YouTube channel. Before starting a YouTube channel, universities should think about the content they will be posting, the people they aim to engage and then establish a strategy. Defining goals is also important. It is good to know what to accomplish with the social media. There are many numbers of social media platforms. There is no need to have the presence on all the platforms. If there is a lot of campus videos to be posted, then choose YouTube. Find where your target audience is. A university usually has many departments and unique content is watched by a unique audience. It is, therefore, good idea to support individual department. The social media presence is an extension of the branding of the university. Keep the voice same across all the YouTube channels. For any university or for that matter any business who wants to build their brand online must create high quality and engaging content. It should be made shareable by the target audience and the followers. When the content is good, it will be liked, shared, commented and viewed by the audience. This type of interaction helps to build brand awareness. Universities must offer high-quality content to increase brand awareness and to get higher rankings in search results. More organic search traffic might lead to more student enrollments. Planning is necessary for any university to make the content viral across the internet. For this, they have to understand the target audience. A well-made content not only is shared by the students but can also be shared by professors, politicians, and professionals which in turn will help to place the content in front of potential students. The Video is playing a dominant role when it comes to sharing information. People prefer watching videos than to read a newsletter. Most universities have educational videos, lectures and another type of videos on their YouTube Channel for Branding. Student-specific or course-specific information is hosted separately. The videos should be created to appeal and captivate the audience. These should be informative also. Engage professionals or make one of the professors in the university to give lectures on different topics. Not only the issues in the course but also about new scientific developments, political conditions, etc. To attract prospective students, create videos that give them information on what facilities they can get at the university. Show them how the life of the student will be on the campus. Create videos to show the sporting achievements. Videos that depict the journey of the university from the day it founded will make for great content. Increase YouTube following by creating videos focusing on the current events in the country. Do not always discuss the university but also choose the topics of interest to diverse students. Encourage the followers to have the open and friendly conversation. This engages not only the students but also the wider audience. Let the tone of the videos be unique and similar to all the videos. The channels must frequently be updated. Help the students to get clarifications on their doubts. Create videos on interesting topics. Offer helpful advice to the students. Updating the channels regularly will help keep the audience engaged. YouTube indeed is the place to connect with prospective students directly. There are also others such as career advisors, teachers, and parents who can influence the decision making. So target these influencers also by sending them videos and videos link and encourage them to recommend the university. Show behind the scenes videos at the events, live telecast the important events through YouTube. Engage professionals to manage the YouTube channel for the university. They can help identify the audience, create content that is suitable for different sections of people, engage them and help build the brand. Universities are realising the power of YouTube and are allotting more resources and are expanding their social presence. Having good reputation is important to compete for students. Branding activity and the effect of it will have an impact on student recruitment. Overall, YouTube gives an opportunity for universities to connect with students and establish YouTube for Branding.